In my many visits to farms and ranches over the past couple decades, my admiration for farmers and ranchers and what they do keeps growing. I don’t take for granted that they are the backbone of a secure agriculture system that provides all of us with food that is safe, affordable, high quality, and responsible. The farmers and ranchers I’ve met are the very best people, who do indeed care about the sustainability of their business: People, Planet & Profit. By addressing sustainability, you are not starting from scratch. Instead, you are starting from strength. Keep doing this great work! Coming from a company (McDonald’s) that took it fair share of activist potshots, I am very empathetic to how modern agriculture is being misunderstood. I feel the anguish of getting criticized for a so-called factory farming system, and categorized by uninformed critics as devoid of ethics and stewardship for the people, land and animals. I wish I could wave a wand and magically open the doors of every farm to the consumer and squash this false, distorted story. With less than 2% of Americans involved in agriculture, we have a knowledge gap the size of the Grand Canyon between the farm and the plate. The true story of the farm has the same gap, with farmers busy tending to their land, water, animals, and people, and food retailers preoccupied with serving the diverse and changing consumer while fulfilling shareholder expectations. Neither makes it a priority to share the wonders of the American farmer. Instead, self-proclaimed experts and antagonists who haven’t spent a day on the farm often fill this knowledge gap. I’ve also repeatedly heard that “we need to tell our story more.” There are two problems with this mindset. 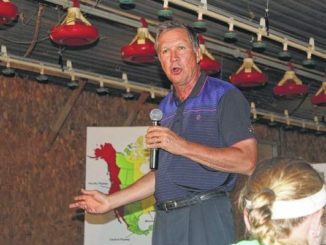 First, it presumes that farmers just need to communicate better, not become better. Second, “telling” doesn’t work any more. That old school, one-way conveying of information just exacerbates the lack of trust. Rather, we all need to “share” our journey and progress, creating a dialogue and conversation. In today’s scrutinizing society, you can’t just “say” you are sustainable, and ask to “trust me.” You have to “prove” you’re sustainable. You prove it by creating goals and sharing data, metrics, and reporting your progress, both the good and the bad. There is no cookie cutter approach, so you can set goals for any farm of any type or size. Society is transparent beyond our wildest imagination and expects genuine openness and transparency, especially from those that provide such personal products like food and drinks that we put into our bodies. Reticence about this new marketplace dynamic needs to transition to embracing (or at least accepting) that societal expectations have dramatically changed. People more than ever care about where their food comes from, what’s in it, and how it is processed. Consumers, along with shareholders, stakeholders, and investors, are giving voice and creating new demands for how food is produced. Big brands have to act upon this reality. Indeed, sustainability is about as fuzzy a concept as they come, meaning you have the opportunity to define and shape it. Time to shed being reactive. The smart way to move forward is to treat sustainability as a business imperative. Today, most Fortune 500 companies see “sustainability” less as a threat and more of a way to grow their business. They are getting out front, playing offense. Corporate sustainability now means creating value for both the company and society. More and more business leaders see corporate sustainability as necessary. It is emanating from the CEO. The business case is strong and compelling. They see sustainability building trust, protecting and enhancing the brand, creating a strong supply chain, attracting and retaining good people, and bringing efficiencies and cost savings. Corporate sustainability is not a “do good thing” for companies. It is not philanthropic nor a PR effort. Instead, it is becoming a business norm, like Total Quality Management or “lean” manufacturing. As a result, most big companies have sustainability officers and staffs. The first Chief Sustainability Officer was in 2004 with Dupont. Now there are dozens of CSOs, and many officers either in the C-suite or reporting directing to the C-suite with responsibility to develop strategies, goals, measurement and accountability. They do this by making NGOs their partners, not their enemies. How about this for a goal: Reduce a company’s carbon footprint by 1 Gigaton? That’s one billion tons! Supporting Walmart’s bold ambition, and at their side, are NGOs like the Environmental Defense Fund, Conservation International and the World Wildlife Fund. EDF even has offices within Walmart. Dow Chemical set a goal to save $100 million by 2025 via its “Valuing Nature” program, developed with The Nature Conservancy. They are proving that by improving the environmental impacts of their business, they can bring in financial benefits as well. An environmental investor coalition, CERES, has rallied support from more than 2000 diverse business, from Campbell’s Soup, J&J, and Microsoft, to Salesforce, The LEGO Group, and Netflix all committed through a “We Are Still In” campaign, to address climate change. The Consumer Goods Forum, which represents 400 brands such as Proctor and Gamble, Unilever, Kellogg’s and Coca-Cola, have all signed a pledge for zero deforestation and take on other environmental commitments. The examples of corporate and NGO partnerships are endless and mainstream. The corporate sustainability movement has developed into one of the most significant business movements of our times. The food and agricultural sector has started to act, and there are emerging signs that they see the importance of sustainability. And since food companies are not experts at addressing complex societal issues like climate change, deforestation, and obesity, to name a few, they are incentivized to find NGOs or other experts to help them. The World Wildlife Fund (WWF) is a great example. They have forged collaborations, including “roundtables” for natural resources and commodities, such as fish, beef, cotton, forests, and sugar, that are comprised of the entire value chain, from farmer or rancher all the way to the grocery story or restaurant. These roundtables create opportunities for diverse stakeholders to collaboratively identify ways to decrease the environmental and social impacts of production and processing while being economically feasible. Working with the WWF approach, McDonald’s helped catalyze sustainable beef, and became part of a Global Roundtable for Sustainable Beef. When you look at the roster of its members, you see the wide scope of unlikely peers, from National Cattlemen’s Beef Association, Cargill and JBS, to McDonald’s, A&W, Rainforest Alliance and the National Wildlife Federation. They did not fight and cast others as the enemy. Rather, they actually agreed upon principles and criteria to define and measure sustainable beef. Today, McDonald’s is actually buying sustainable beef for a portion of its supply in Canada and is working to increase that portion as well as source sustainable beef in other countries. “Field to Market” is another excellent example of leadership. 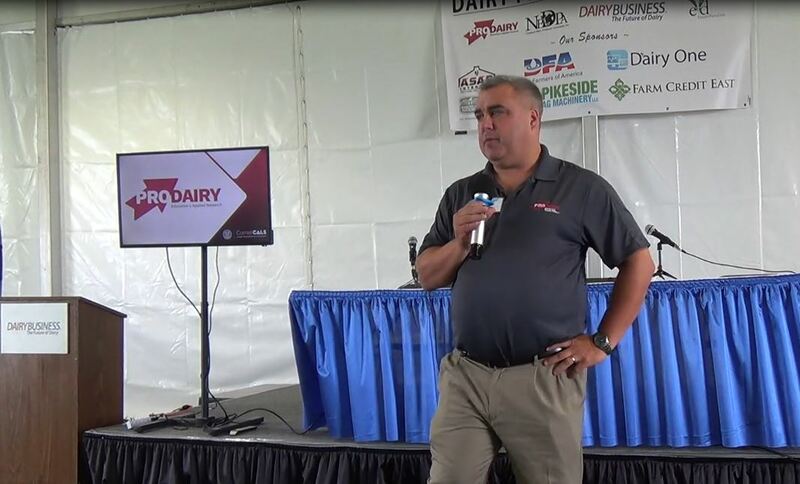 The dairy industry certainly has been a leader, especially with the efforts of the Innovation Center for US Dairy. 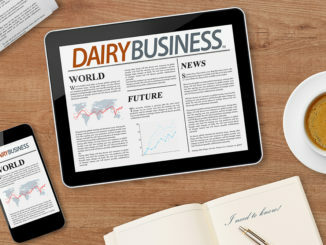 Dairy’s commitment and framework for sustainability is an outstanding strategic approach. The National Pork Industry recently approved a strategy to take its We Care program to the next level of progress, with increased commitment and transparency. 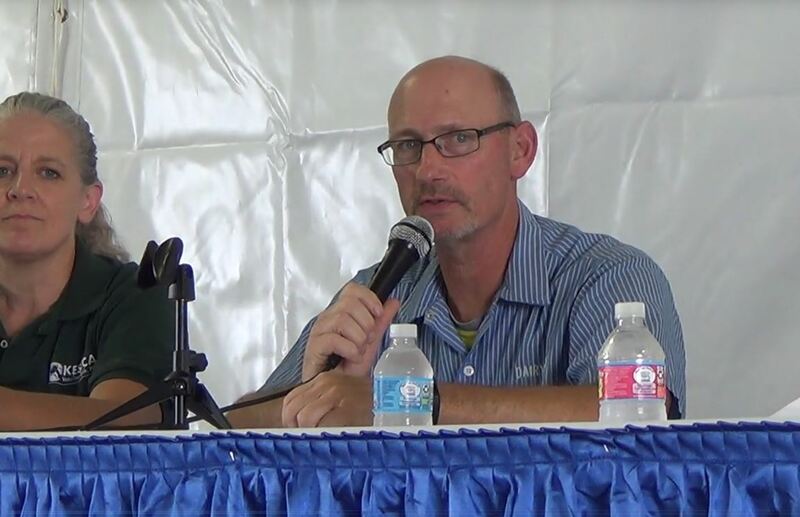 The U.S. Poultry & Egg Association recently announced a sustainability roundtable. The National Cattleman and Beef Association is far along its path to define and create a framework for sustainability. If you look at the bigger companies on the food value chain, you will see even further progress, with many having bold sustainability commitments. Check out the goals at Sodexo, Tyson, McDonald’s, Campbell Soup, Kroger and Starbucks. They are just the tip of the iceberg. Unfortunately, if you look beyond the big, branded companies toward the smaller companies and private firms, you see much less. This concerns me. Sustainability should not be just for the big companies who eventually squash out the smaller farming businesses. Sustainability should be for all business. Those that are not moving to embrace sustainability as a business norm will wilt and fade away, like Sears who did not embrace modern retailing. If you are still sitting on the fence about the soundness and need to inculcate sustainability, follow the money. The largest investment company and its CEO, Larry Fink, warn business that sustainability is not a fad. Lastly, if you are still waffling on sustainability, talk more with the next generation of emerging leaders. To them, they want to make a difference in what they do in their careers. For instance, the younger people in the trenches of working in the field of corporate sustainability are the best and brightest from schools that now have sustainability woven into their curriculum. I hired super bright people from Yale, Stanford, and Harvard, who have sustainability education incorporated within their business schools. One of the most popular clubs on campus these days is Net Impact comprised of students who want to make a social impact through business and entrepreneurialism. They have an astonishing 100,000 members worldwide. More and more, people want to work for an organization that values not only profit, but values purpose, too. Because I see the strong heritage, values and strengths of the American food system and its people, I am puzzled that zealots outside the food production are winning the battle to shape public opinion about the meaning of sustainable food. We should be ashamed that it is cast so narrowing and often unscientifically as local, organic and GMO-free. I’d say it’s time to stand much taller for who you are, what you do, and why you do it. Start developing a strategic sustainability framework that defines what sustainability means for your business or organization—and start that proactive plan today. 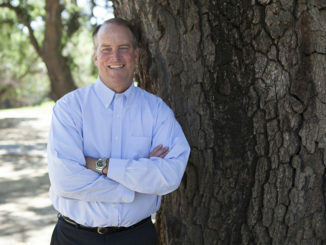 Bob Langert is Senior Associate with The Context Network and retired VP of CSR & Sustainability, McDonald’s Corporation. 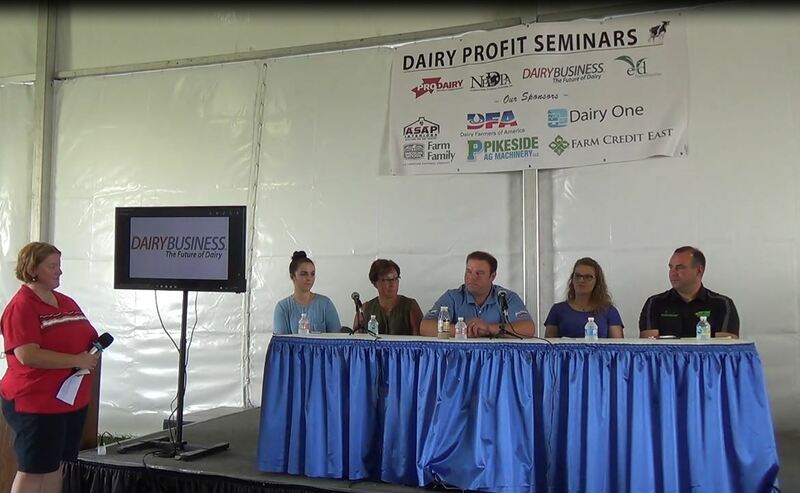 He was a featured presenter at the California Dairy Sustainability Conference. His website: boblangert.com; Twitter and LinkedIn: @boblangert. Author of, The Battle To Do Good: Inside McDonald’s Sustainability Journey. 12 “Battles” to do good, from waste, animal treatment and obesity, to the Amazon rainforest and sustainable fish and beef. 51 points of view beyond my own, from NGOs, suppliers and McDonald’s leaders. “Hard Knock Nuggets” at the end of each chapter to pass on lessons learned. Exposure to the inside of a mega-brand and icon of society. Absorbing the journey and evolution of a big brand under attack, befuddled, playing defense to a company that has learned from many hard knocks to eventually develop a more integrated, proactive sustainability strategy for its business. Learning from bold leaders and how they lead transformative change, both from the company and from NGOs.